Welcome to Baird Respiratory & Medical Equipment's CPAP/BiPAP Program. 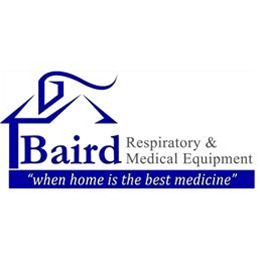 Baird has been providing Respiratory Support and Services for almost forty years. We are here to assist both the new and experienced CPAP user in fulfilling compliance and gaining comfort and confidence in CPAP. Baird offers a full line of CPAP Machines and Supplies for your use and comfort and whose staff is available to answer your questions and provide support. Please take a moment tor review some of the products we inventory. Should you not see what you are looking for, please contact our CPAP Department at 888-215-2990. For Customers in the Lehigh Valley/Capital and Northeast Pennsylvania areas, you may also call our Allentown location at 866-395-7028.